VLF Automotive, an American luxury sports car company is founded by former General Motors Vice Chairman Bob Lutz, entrepreneur and manufacturer Gilbert Villarreal and legendary automotive designer Henrik Fisker. When Gilbert and Lutz formed VL Automotive in 2012, they wanted to take Henrik Fisker’s beautifully proportioned design, replace the hybrid gas-electric power train with a Chevrolet Corvette ZR1 drivetrain, and create a bespoke four-door luxury car with outstanding performance. With Henrik Fisker on board, VLF Automotive refined the previous Destino design, and are ready to present a new model named Force 1 at the 2016 North American International Auto Show. 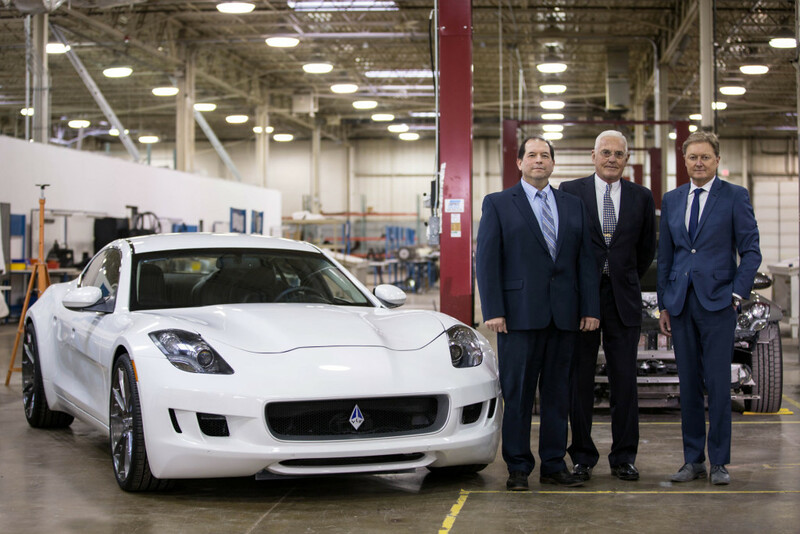 VLF Automotive boasts a state-of-the-art development and manufacturing facility in Auburn Hills and a design and technology center in Los Angeles. With Lutz as chairman, Villarreal as CEO and Fisker as head of design and product strategy, VLF team represents more than 100 years experience at the top-tier of the the automotive industry and have been instrumental in such iconic cars as Aston Martins, BMWs, Vipers and Corvettes. VLF Automotive will be adding additional jobs at its dedicated manufacturing facility in Auburn hills, when production of the Destino and Force 1 ramps up throughout 2016. VLF is expected to have 7 dedicated dealers with full-service capability throughout North America, and several international dealers appointed in 2016.